Dining room furniture, kitchen furniture, living room furniture, bathroom accessories, wall shelves, storage carts, corner racks, etc. May 04, 2016 | By CENS | ZONA DEVELOPMENT CO., LTD.
Having been in business several decades in Changhua, central Taiwan, Zona Development Co., Ltd. is an innovation-driven manufacturer and developer of furniture for wide-ranging applications. Zona set up shop as metalworking service provider, and then ventured into making wire furniture and accessories. 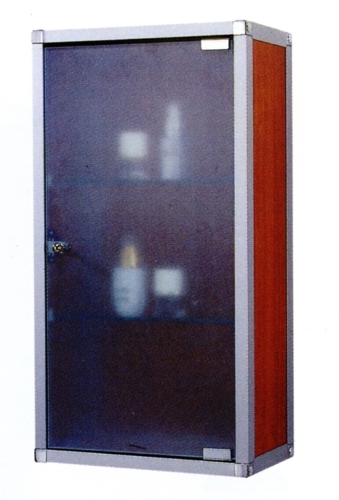 Following years of effort to continuously upgrade R&D, the company has developed full capability to supply a wide range of furniture, including bathroom trolleys, corner racks, utility racks, multi-form carts, retractable shelves, bathroom cabinets, cupboard tables, glass display stands and cabinets, towel holders, toilet paper holders and bathroom fittings. The company's products are well received and totally exported to Europe. Understanding that only innovation enables a company to stand out from rivals to secure sustainable growth in the line, especially when the market is increasingly volatile, Zona actively researches and develops new products and value-added materials or ones with added advantages, to have worked out some functionally innovative furniture that has impressed buyers and recorded positive feedback among end-users. Among Zona's notable products include Shower Cabby wall shelves, all of which designed to meet European consumers' preference for stylish, minimalist exterior with frames of aluminum alloy coupled with high-quality glass trays. Compared to typical models with brass-pipe frames coated with cadmium, the Shower Cabby is lighter and eco-friendlier, and easier to maintain and clean, not to mention its competitive prices realized by the maker's greatly streamlined production process. High quality is also among the features that draw buyers to Zona's furniture, achieved by the implementation of stringent quality control measures, including spot checks and pre-delivery inspection, in line with ISO standards throughout production. Committed to innovation and quality, which Zona believes is key to customer satisfaction, the firm has built a sound reputation as a top-caliber furniture maker with integrity and stability to stand out among underselling rivals in the global market. Zona’s Shower Cabby wall shelf features minimalist exterior design, easy maintenance and lightweight. Zona’s furniture is widely noted for impressive exterior design and better quality.